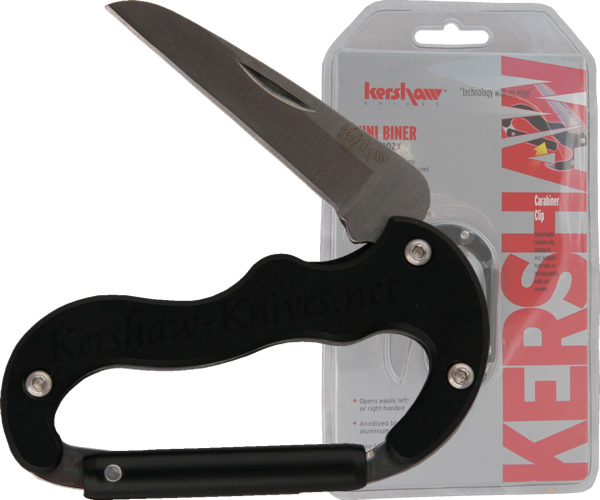 The Kershaw model 1002X is the Mini Biner carabiner tool. Is has a high quality 420J2 stainless steel blade with a Rockwell Hardness of 52-56. The handle of the carabiner serves as a handle when the knife blade is open, and surprisingly it is quite comfortable. This Kershaw 1002X has a handle that is coated in black-colored teflon.